From 6:30-8:30, we'll be holding our first even Teen Halloween Party! Join us for a scary movie...either Arachnophoia or Young Frankenstein (which you can vote for on the right hand side of this website), as well as more video games, free pizza and soda, and TONS OF CANDY. Also, don't forget about our COSTUME CONTEST! Dress up in your best costume for the night, cause we'll be voting on who has the best costume! The winner will receive TWO FREE TICKETS to the movie theatre in Rio Grande. From 4:30-6:30 PM we'll be having our Game Night. 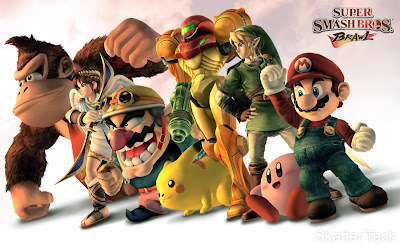 Come enjoy some Rock Band II, Mario Kart Wii, and more! 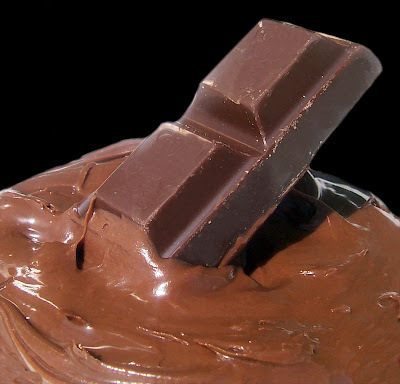 Yes, today is National Chocolate Day. I highly suggest you celebrate! Sort of like a hub for all things concerning the internet, this is a great homepage for anyone interested in finding useful information and tools on the internet. It's like a Super Google search. 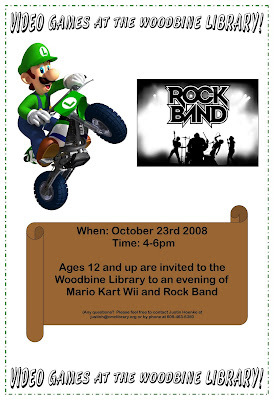 Video Games @ the Woodbine Library! We'll be playing Rock Band II and Mario Kart Wii. Teen Yoga! MORE CLASSES ADDED! Thanks to you...we've added more Teen Yoga classes for the rest of 2008! No signups needed! 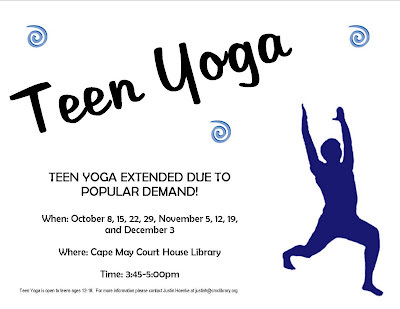 Feel free to come by and try out teen yoga! Cats with funny captions. That's the only way I can explain it. And best of all...you can build your own! 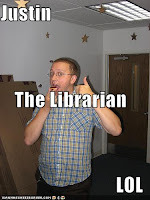 Tommorrow at the Lower Township Library! We'll have Rock Band 2 and Mario Kart Wii. -You can check out two per card. -They check out for two days. My personal favorite? 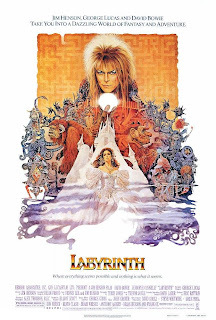 I highly suggest you check out Labyrinth. 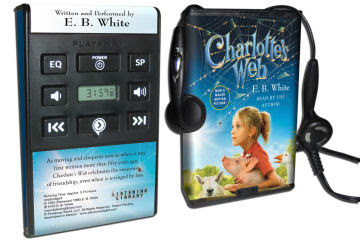 The best way to describe a Playaway is that it is sort of like an MP3 player with an audiobook already loaded onto it. The playaway is all ready to go once you check it out, so all you have to do is put in 1 AAA battery and headphones and listen. In other words, it's sort of like an IPod for books. The cool thing about Playaways? We've now got them at the Cape May County Library! What do I need to make the Playaway work? -1 AAA battery and a pair of headphones. We try to keep it simple for you. How long can I keep the Playaway? We're closed today, but we'll be back tomorrow. Woops. 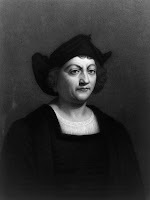 I mean Columbus Day! First off...many thanks to everyone who came to the Pumpkin Painting Party. 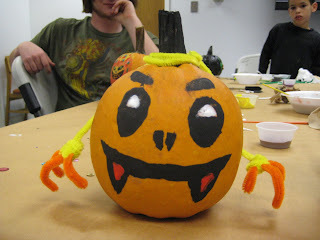 We really hope you had a good time and enjoyed decorating the plethora of pumpkins we had! We've got pictures and videos of your wonderful creations...check them out! And the pictures...click here for more! Haven't listened to it yet? 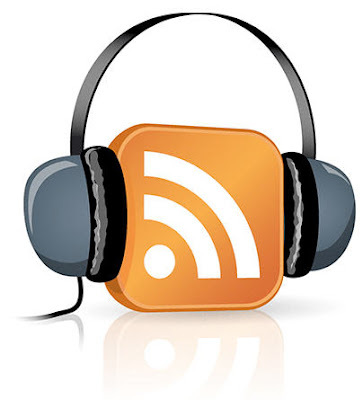 Want to listen to it again? Here it is! 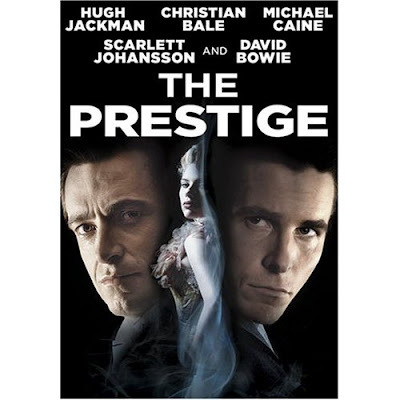 Starring Christian Bale and Hugh Jackman as magicians who do really cool stuff...and Scarlett Johansson...and even David Bowie! Yes! 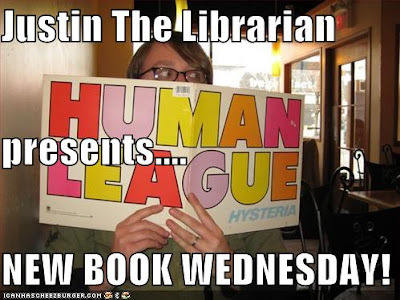 We'll have some snacks and refreshments! The Raw Shark Texts is Steven Hall’s first novel. The book was supposed to be written in a way that each person comes away with a different experience or interpretation, the title itself is a play on words of “Rorschach Test”, the inkblot tests that psychologists use on their patients. While the use and influence of many different genres can be found in the book, not one specific genre can be used to describe the book. To me the book seems to be a mixture of Lewis Carroll’s absurd storytelling and Kurt Vonnegut’s idea of the abstract. While it lacks Carroll’s nonsensical poetry it makes up for it with visualized text, and though not as satirical as a piece of Mr. Vonnegut’s work it is steep with abstract thoughts and ideas that can only come out of a work of science fiction. The story follows the events of the second Eric Sanderson, a man who wakes up one morning with what appears to be complete amnesia of his entire life. Strangely enough instructions are left by the phone, from the first Eric, just in case this was to happen. The instructions tell him to contact a retired female psychiatrist Dr. Randle that the first Eric had been seeing for some time before the amnesia. Dr. Randle tells the second Eric that he is suffering from a dissociative condition known as fugue do to the tragic death of the first Eric Sanderson’s girlfriend Clio Aames. Dr. Randle also tells the second Eric that he might receive letters from the first Eric and that he should hand these over to her without reading them as to not further worsen his condition. Little does Dr. Randle know that the instructions that the second Eric received before seeing her state that he must not reveal to Dr. Randle any of the first Eric’s letters. Confused and lost the second Eric decides to not hand over the letters to Dr. Randle nor read them himself, and just live his life as normally as possible. This works for the second Eric for a while, until one sleepless night an incident occurs that threatens his life, and leaves the second Eric with to many questions unanswered about his previous life. This event leads the second Eric deeper and deeper into the rabbit hole that was his first life. Through out the rest of the book many different genres come to life from thriller and suspense, to folk lore and secret societies, to a love story and action scenes that keeps you reading to find out what is next. Like many other classic books no one will come away with the same thoughts on the book. My only complaint is that the book ends like a popular movie that I had seen long ago, but there could be a reason for this, and the only way I could know for sure would be to ask the author who would only tell me that everybody comes away with a different interpretation. The Inheritance Cycle continues as the battle for Alagaesia reaches a climax in Brisingr by Christopher Paolini. The book begins with a blissfully detailed summary of the first two books for those, like me, who need a reminder of what has happened before, and then drops the reader right into the action. The book begins with Eragon, the Dragon Rider, leading Roran into the depths of the evil King Galbatorix’s Empire to save Roran’s fiancée. The action continues from there with battles between dragons, Riders, spellcasters, and warriors that do not feel pain (think of slightly more intelligent zombies). Eragon and the soldiers he is leading, the Varden, sure look doomed. Eragon has changed from the first book, both physically and mentally. He’s still impatient, but he takes time to think about his actions and their impact on others. He always tries to do what he thinks is right, even when others believe he is being foolish, which is always a good quality to have in a hero. I was worried that I wouldn’t be able to identify with Eragon, as he’s now part elf and apparently some kind of superhero, with superhuman strength and the ability to use magic to make himself fly without his dragon. However, Eragon is in a position where everyone wants to tell him what to do, and they all have expectations of him, so he feels trapped. With so many tasks and standards thrust upon him, he finds it hard to remain true to himself. Don’t we all feel that way sometimes? My biggest problem with the book is the way it splits its time between following Eragon and following every other major character of importance. Roran, Nasuada, and even the dragon Saphira all get the opportunities to present their points of view, which bothers me because Eragon is the character to whom I am most attached. I want to know his story in full, and view the action from his perspective. The structure of the trilogy mirrors that of the Lord of the Rings: the first book focuses on one individual or group, the second splits the narrative into two, and the third act splits even further to encompass all the action and politics that are inevitable in tales of war. The reader is able to get a broader scope on all the aspects of this war, but being constantly yanked out of one story arc and thrust into another tends to be wearying. Despite this, I greatly enjoyed reading Brisingr. It is very exciting, holds a few surprises, and I am looking forward to the fourth and last book.